Young American Lucy Bellerose (Sam Valentine) is selfie-ing her way through the south of France on her way to visit her ancestral home and pay her respects to her recently deceased uncle. The distant relatives she meets once there is the family reunion you’d do better to avoid. There are secrets in this family’s lineage and the past is still alive. A supernatural history to an ancestral castle uncovers a dark secret the family’s been hiding for centuries. A sacrifice has been made and Lucy was brought here for a reason. Jude S. Walko’s directorial feature debut is a made for tv movie in feature film form. 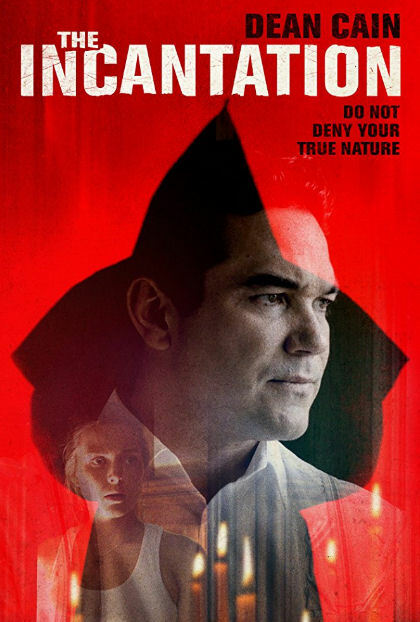 Acting varies in this budgeted feature headed by television veteran Dean Cain. The worst portrayal was perhaps of The Vicar of Borley portrayed by Walko himself. The beautiful Sam Valentine makes for a good leading lady but plays a better badass by the end than she does a mindless selfie vlogging American in the films beginning. One of the movies best performances actually comes from an actor in his first feature Dylan Kellogg who may not have fit the love interest role of Jean-Pierre but never-the-less impressed. Beautiful scenery and budgeted CGI make-up this brightly filmed feature with a dark story to tell. Settings and cinematography are on point. A horror movie set at a castle in the south of France should have been darker. Potentially frightening scenes are lost to CGI and lighting. A long build relies too heavily on its final reveal which isn’t completely predictable but also doesn’t have enough impact to carry the movie like some of twist ending master M. Knight Shyamalan’s films did. Overall the film feels like a good fit for a Lifetime movie with a dark theme that will probably find a better home with a female audience.